An ideal storage system for your summer outdoor gear. The MPG386 FS Rack™ system is designed to safely store up to three bikes, two SUPs and a single kayak. Delivered with Holders, kayak blocks, reinforced frame and all required mounting hardware. 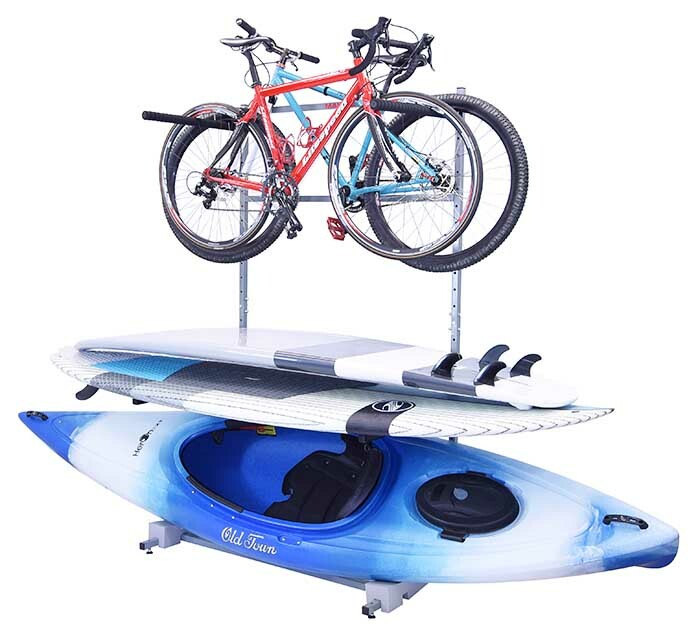 This rack provides a safe location for your boards, bikes & kayak and helps reduce damage from long term storage. Assembly is a simple process using our illustrated instructions and dedicated assembly tool. 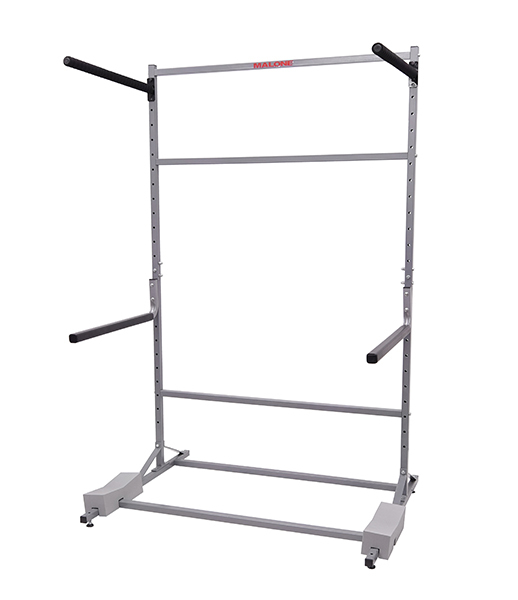 Built with powder coated high load steel and corrosion resistant hardware, this package is designed to last for years. Includes a Limited Lifetime Warranty. Three bike + two SUP + one kayak storage capacity. One set of MPG391 Bike padded holders.